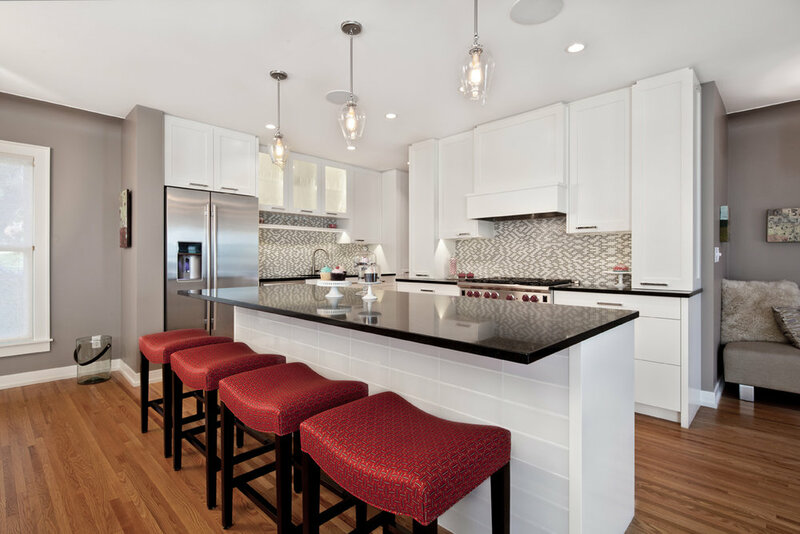 A lot of people struggle with adding color to their home, especially in the kitchen! 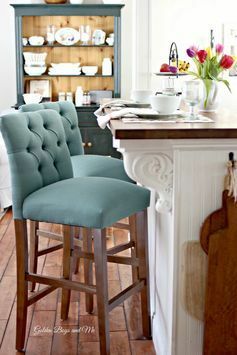 One easy way to break out of the white, grey, beige and black mold is by adding colorful bar stools. They instantly add a pop of color that makes the room feel brighter and more interesting and they are not permanent... you can replace them easily once you're ready for a new color scheme. 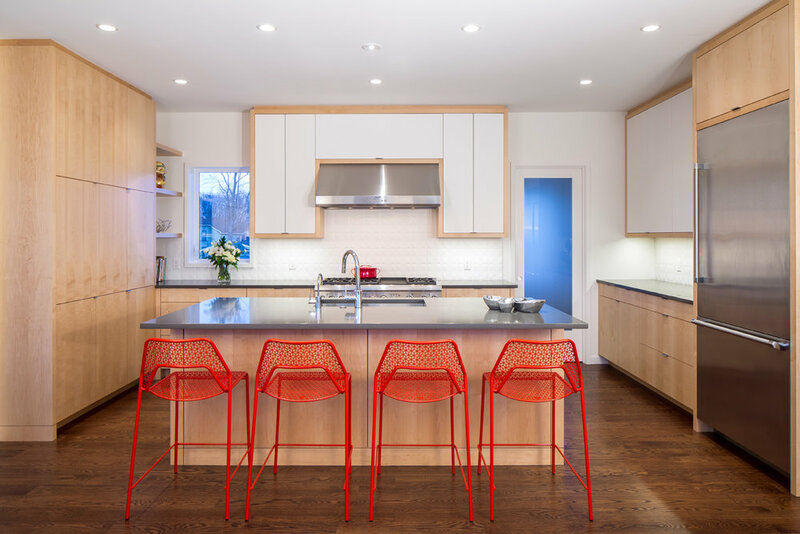 Let's take a look at some of our past clients bar stool choices and a few other inspirational photos taken from other sources.